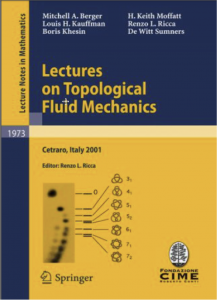 Moore, A., Vazquez, M., Lidman T.
Ibrahim, L., Liu, P., Klingbeil, M., Diao, U., Arsuaga, J. Journal of Physics A: Mathematical and Theoretical, 52 (3), 2018.
arxiv.org, Forthcoming, ("to appear in Contemporary Mathematics issue on the AMS Special Session on Topology of Biopolymers). Witte, S., Flanner, M.,; Vazquez, M.
Symmetry, 10 , pp. 604, 2018. Ishihara, K., Pouokam, M., Suzuki, A., Scharein, R., Vazquez, M., Arsuaga, J., Shimokawa, K.
Journal of Physics A: Mathematical and Theoretical, 50 (21), pp. 215601, 2017. 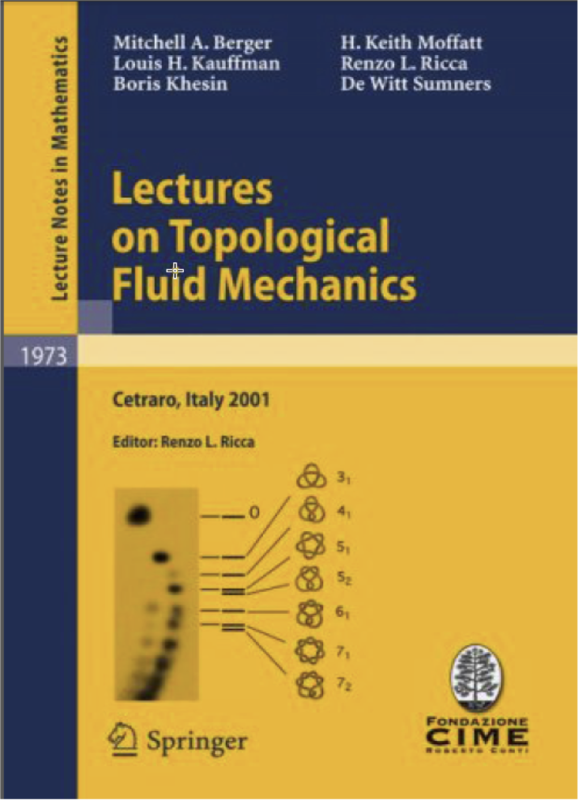 Stolz, R., Yoshida, M., Brasher, R., Flanner, M., Ishihara, K., Sherratt, D.-J., Shimokawa, K., Vazquez, M.
Scientific Reports, 7 (1), pp. 12420, 2017, ISBN: 2045-2322. In Escherichia coli DNA replication yields interlinked chromosomes. Controlling topological changes associated with replication and returning the newly replicated chromosomes to an unlinked monomeric state is essential to cell survival. In the absence of the topoisomerase topoIV, the site-specific recombination complex XerCD- dif-FtsK can remove replication links by local reconnection. We previously showed mathematically that there is a unique minimal pathway of unlinking replication links by reconnection while stepwise reducing the topological complexity. However, the possibility that reconnection preserves or increases topological complexity is biologically plausible. In this case, are there other unlinking pathways? Which is the most probable? We consider these questions in an analytical and numerical study of minimal unlinking pathways. We use a Markov Chain Monte Carlo algorithm with Multiple Markov Chain sampling to model local reconnection on 491 different substrate topologies, 166 knots and 325 links, and distinguish between pathways connecting a total of 881 different topologies. We conclude that the minimal pathway of unlinking replication links that was found under more stringent assumptions is the most probable. We also present exact results on unlinking a 6-crossing replication link. These results point to a general process of topology simplification by local reconnection, with applications going beyond DNA. Arsuaga, J., Calderer, M, Hiltner, L., Vazquez, M.
Sergio, A.-T., Gonzalez, G., Borrman, T., Garcia, J. L., Arsuaga, J.
Bac, Alexandra ; Mari, Jean-Luc (Ed. 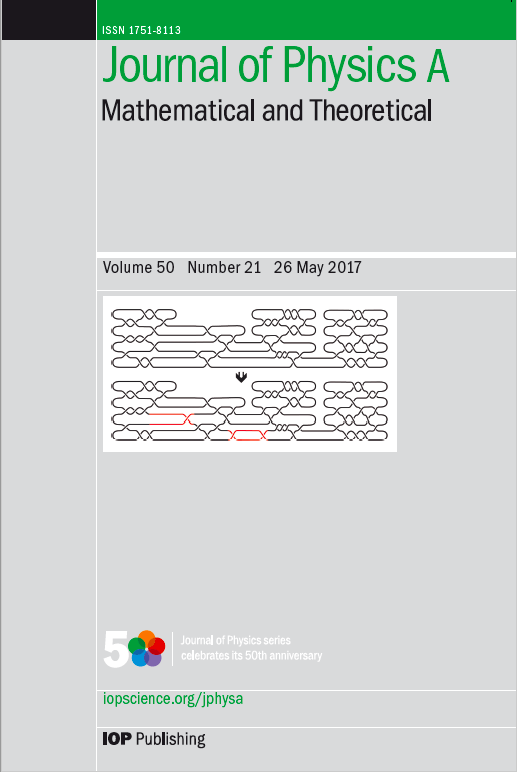 ): Computational Topology in Image Context: 6th International Workshop, CTIC 2016, Marseille, France, June 15-17, 2016, Proceedings, pp. 113–129, Springer International Publishing, Cham, 2016, ISBN: 978-3-319-39441-1. Microarrays, 4 (3), pp. 339-369, 2015. Arsuaga J., Heskia I., Hosten S.,; Maskalevich T.
Journal of Algebraic Statistics., 6 (2), pp. 133-149, 2015. Diao Y., Hinson K., Sun Y.; Arsuaga J.
J. Phys. A Math Theor., 48 (43), pp. 435202, 2015. Arsuaga, J.; Jayasinghe, R. G.; Scharein, R. G.; Segal, M. R.; Stolz, R. H.; Vazquez, M.
Front Mol Biosci, 2 , pp. 48, 2015. Diao, Y. , Rodriguez, V., Klingbeil, M., Arsuaga, J.
PLoS ONE, 10 (6), pp. e0130998, 2015, ISBN: 1932-6203. Kinetoplast DNA (kDNA), a unique mitochondrial structure common to trypanosomatid parasites, contains thousands of DNA minicircles that are densely packed and can be topologically linked into a chain mail-like network. Experimental data indicate that every minicircle in the network is, on average, singly linked to three other minicircles (i.e., has mean valence 3) before replication and to six minicircles in the late stages of replication. The biophysical factors that determine the topology of the network and its changes during the cell cycle remain unknown. Using a mathematical modeling approach, we previously showed that volume confinement alone can drive the formation of the network and that it induces a linear relationship between mean valence and minicircle density. Our modeling also predicted a minicircle valence two orders of magnitude greater than that observed in kDNA. To determine the factors that contribute to this discrepancy we systematically analyzed the relationship between the topological properties of the network (i.e., minicircle density and mean valence) and its biophysical properties such as DNA bending, electrostatic repulsion, and minicircle relative position and orientation. Significantly, our results showed that most of the discrepancy between the theoretical and experimental observations can be accounted for by the orientation of the minicircles with volume exclusion due to electrostatic interactions and DNA bending playing smaller roles. Our results are in agreement with the three dimensional kDNA organization model, initially proposed by Delain and Riou, in which minicircles are oriented almost perpendicular to the horizontal plane of the kDNA disk. We suggest that while minicircle confinement drives the formation of kDNA networks, it is minicircle orientation that regulates the topological complexity of the network. Segal, M. R.; Xiong, H.; Capurso, D.; Vazquez, M.; Arsuaga, J.
Biostatistics, 15 (3), pp. 442–456, 2014. Arsuaga J., Diao Y, Klingbeil M.; Rodriguez V.
Mol. Based. Math. Bio., 2 , pp. 98-106, 2014. 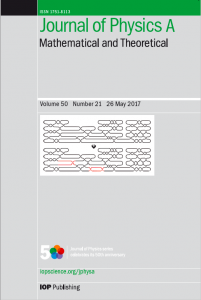 Ishihara, K., Shimokawa, K., Vazquez, M.
Discrete and topological models in molecular biology, pp. 387–401, Springer, Heidelberg, 2014. Shimokawa, K.; Ishihara, K.; Grainge, I.; Sherratt, D. J.; Vazquez, M.
Proc. Natl. Acad. Sci. U.S.A., 110 (52), pp. 20906–20911, 2013. Darcy, I. K.; Vazquez, M.
Biochem. Soc. Trans., 41 (2), pp. 601–605, 2013. Brasher, R.; Scharein, R. G.; Vazquez, M.
Biochem. Soc. Trans., 41 (2), pp. 606–611, 2013. Rodriguez V, Diao Y.; Arsuaga J.
J. Phys. : Conf. Ser., 454 , pp. 012070, 2013. Diao, Y.; Hinson, K.; Kaplan, R.; Vazquez, M.; Arsuaga, J.
J Math Biol, 64 (6), pp. 1087–1108, 2012. Applicable Algebra in Engineering, Communication and Computing, 23 (1), pp. 3-15, 2012. J. of Phys. A: Math. Theor., 45 , pp. 035004, 2012. J. Stat. Phys., 146 , pp. 434-445, 2012. Journal of Physics A: Mathematical and Theoretical, 45 (6), pp. 065003, 2012. Volume confinement is a key determinant of the topology and geometry of a polymer. However, the direct relationship between the two is not fully understood. For instance, recent experimental studies have constructed P4 cosmids, i.e. P4 bacteriophages whose genome sequence and length have been artificially engineered and have shown that upon extraction their DNA knot distribution differs from that of wild-type bacteriophage P4. In particular, it was observed that the complexity of the knots decreases sharply with the length of the packed genome. This problem is the motivation of this paper. Here, a polymer is modeled as a self-avoiding polygon on the simple cubic lattice and the confining condition is such that the polygon is bounded between two parallel planes (i.e. bounded within a slab). We estimate the minimum length required for such a polygon to realize a knot type. Our numerical simulations show that in order to realize a prime knot (with up to ten crossings) in a 1-slab (i.e. a slab of height 1), one needs a polygon of length strictly longer than the minimum length needed to realize the same knot when there is no confining condition. In the case of the trefoil knot, we can in fact establish this result analytically by proving that the minimum length required to tie a trefoil in the 1-slab is 26, which is greater than 24, the known minimum length required to tie a trefoil without a confinement condition. Additionally, we find that in the 1-slab not all geometrical realizations of a given knot type are equivalent under BFACF moves. This suggests that in certain confined volumes, knowing the topology of a polymer is not enough to describe all its states. Blackstone, T, Scharein, R., Varela, R., Diao, Y.,; Arsuaga J. Journal of Mathematical Biology, 62 (3), pp. 371-89, 2011. Portillo, J.; Diao, Y.; Scharein, R.; Arsuaga, J.; Vazquez, M.
J Phys A Math Theor, 44 (27), pp. 275004, 2011. 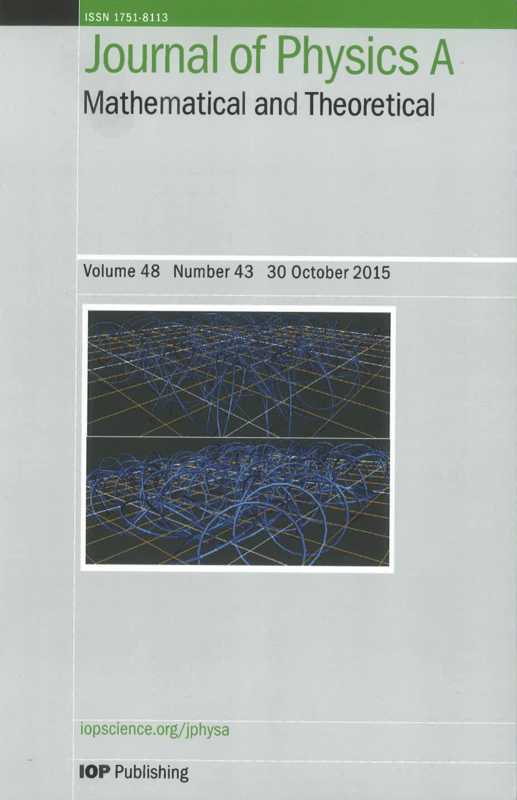 Journal of Mathematical Biology, 64 (6), pp. 1087–1108, 2011, ISSN: 1432-1416. Trypanosomatida parasites, such as trypanosoma and lishmania, are the cause of deadly diseases in many third world countries. A distinctive feature of these organisms is the three dimensional organization of their mitochondrial DNA into maxi and minicircles. In some of these organisms minicircles are confined into a small disk volume and are topologically linked, forming a gigantic linked network. The origins of such a network as well as of its topological properties are mostly unknown. In this paper we quantify the effects of the confinement on the topology of such a minicircle network. We introduce a simple mathematical model in which a collection of randomly oriented minicircles are spread over a rectangular grid. We present analytical and computational results showing that a finite positive critical percolation density exists, that the probability of formation of a highly linked network increases exponentially fast when minicircles are confined, and that the mean minicircle valence (the number of minicircles that a particular minicircle is linked to) increases linearly with density. When these results are interpreted in the context of the mitochondrial DNA of the trypanosome they suggest that confinement plays a key role on the formation of the linked network. This hypothesis is supported by the agreement of our simulations with experimental results that show that the valence grows linearly with density. Our model predicts the existence of a percolation density and that the distribution of minicircle valences is more heterogeneous than initially thought. Soteros, C., Ishihara, K., Shimokawa, K., Szafron, M., Vazquez, M.
Progress of Theoretical Physics Supplement, 191 , pp. 78-95, 2011. Which chiral knots can be unknotted in a single step by a + to − (+−) crossing change, and which by a − to + (−+) crossing change? Numerical results suggest that if a knot with 6 or fewer crossings can be unknotted by a +− crossing change then it cannot be unknotted by a −+ one, and vice versa. However, we exhibit one chiral 8-crossing knot and one chiral 9-crossing knot which can be unknotted by either crossing change. Furthermore, we address the question analytically using results of Taniyama and Traczyk. We apply Taniyama's classification of unknotting operations to chiral rational knots and fully classify all those which, in a single step, can be unknotted by either type of crossing change; the first of these is 813. As a corollary, we obtain Stoimenow's result that all chiral twist knots can be unknotted by only one of the two crossing change types, +− or −+. Thus, as was observed numerically, all chiral knots with unknotting number one, and seven or fewer crossings, can be unknotted by only one of the two crossing change types. Traczyk's results allow us to address the question for some non-rational chiral unknotting number one knots with 9 or fewer crossings, however, for others the question remains open. We propose a numerical approach for investigating the latter type of knot. We also discuss the implications of our work in the context of DNA topology. Arsuaga, J., Roca, J.; Sumners, D. W.
Stockley, P G; Twarock., R (Ed. ): Chapter Topology of viral DNA., Imperial College Press., 2010. DeWoskin, D.; Climent, J.; Cruz-White, I.; Vazquez, M.; Park, C.; Arsuaga, J.
Topology and its Applications, 157 (1), pp. 157–164, 2010, ISBN: 0166-8641. The experimental method comparative genomic hybridization (CGH) array provides a full picture of chromosome amplifications and deletions of an individual's genome. The multi-dimensional nature of these data, however, has not been fully explored. Current methods for CGH analysis focus on specific markers, but deeper understanding can be gained by examining the properties of the overall genomic profile. In this paper we propose a novel method for characterizing CGH profiles mathematically using algebraic homology. We apply our method to breast cancer CGH profiles from patients that have been subjected to different treatments. We show that our results obtained using homology are in agreement with previous studies and are able to distinguish between frequency of cancer recurrence in chemotherapy and non-treated patient populations. Japanese version: The Mathematical Society of Japan; English version:, 2010. J. Phys A: Math Theor., 42 (095204), 2009. J. Phys. A: Math. Theor., 42 (465202), 2009. Algebr. Geom. Topol., 9 (4), pp. 2247-2309, 2009. Journal of Physics A: Mathematical and Theoretical, 42 (47), pp. 475006, 2009. Knots are found in DNA as well as in proteins, and they have been shown to be good tools for structural analysis of these molecules. An important parameter to consider in the artificial construction of these molecules is the minimum number of monomers needed to make a knot. Here we address this problem by characterizing, both analytically and numerically, the minimum length (also called minimum step number) needed to form a particular knot in the simple cubic lattice. Our analytical work is based on improvement of a method introduced by Diao to enumerate conformations of a given knot type for a fixed length. This method allows us to extend the previously known result on the minimum step number of the trefoil knot 3 1 (which is 24) to the knots 4 1 and 5 1 and show that the minimum step numbers for the 4 1 and 5 1 knots are 30 and 34, respectively. Using an independent method based on the BFACF algorithm, we provide a complete list of numerical estimates (upper bounds) of the minimum step numbers for prime knots up to ten crossings, which are improvements over current published numerical results. We enumerate all minimum lattice knots of a given type and partition them into classes defined by BFACF type 0 moves. Journal Computational and Mathematical Methods in Medicine, 9 (3-4), pp. 303-316, 2008. Grainge, I.; Bregu, M.; Vazquez, M.; Sivanathan, V.; Ip, S. C.; Sherratt, D. J.
EMBO J., 26 (19), pp. 4228–4238, 2007. Hua, X.; Nguyen, D.; Raghavan, B.; Arsuaga, J.; Vazquez, M.
Topol Appl, 154 (7), pp. 1381–1397, 2007. Climent, J., Mao, J., Garcia, J. L., Arsuaga, J., Perez-Losada, J.
Biochemistry and Cell Biology, 85 (4), pp. 497-508, 2007. Arsuaga, J., Blackstone, T., Diao,Y., Karadayi, E. , Saito, Y.
J. Phys. A: Math. Gen., 40 , pp. 1925-1936, 2007. J. Phys. A: Math Gen., 40 , pp. 11697-11711, 2007. Kawauchi, A (Ed. ): Knot Theory for Scientific Objects, pp. 251-271, OCAMI studies 2007. The Gazette PSME, 10 (3), pp. 611-632, 2007. Blackstone, T., Mcguirk, P., Laing, C.,Vazquez M.; Roca, J. Proceedings of International Workshop on Knot Theory for Scientific Objects Universities Press, 1 , 2007. Vives, S.; Loucas, B.; Vazquez, M.; Brenner, D. J.; Sachs, R. K.; Hlatky, L.; Cornforth, M.; Arsuaga, J.; Hlatky, L.
Bioinformatics, 21 (14), pp. 3181–3182, 2005. Arsuaga, J.; Vazquez, M.; McGuirk, P.; Trigueros, S.; Sumners, D.; Roca, J.
Proc. Natl. Acad. Sci. U.S.A., 102 (26), pp. 9165–9169, 2005. Vazquez, M.; Colloms, S. D.; Sumners, D.
J. Mol. Biol., 346 (2), pp. 493–504, 2005. Vives, S. Bradford, L., Vazquez, M., Brenner, D.J., Sachs, R.K., Hlatky, L, Cornforth, M.; Arsuaga, J.
Bioinformatics, 21 (14), pp. 3181-2, 2005.